and remained with him for fifteen days. R. (24b) Guide me, Lord, along the everlasting way. R. Guide me, Lord, along the everlasting way. Saint Francis of Assisi, ora pro nobis, pray for us. Who among us cannot sympathize with Saint Martha in the Gospel today,troubled and anxious as she bustled about her tasks? You know how much I can relate to that! The bills, the dinner for eight, the school work, the prayers on my knees for my family, the birthday cards sent late, the deadlines rushing upon me while I cradle a feverish infant, the constant needs from my children . . . .
Maybe your troubles are schoolwork. Seeking employment, navigating a relationship, seeking treatment for a medical need or a spiritual need, or maybe simply the mundane daily wake-eat-work-eat-sleep pattern. But, oh!, my sisters! I know it might feel glorious to leave the cares of the world and collapse at the feet of Jesus, as Mary did, and God knows our need for that. He also knows what we must do, and calls to us to relieve our burden. Seek Him in the tasks. Pursue Him while you work. By His mercies and graces, as you navigate the oh-so-hard moments in life (Lord knows there are plenty), let Him be your constant companion as you work and play. Quiet your mind to hear His voice. Pursue greatness in the mundane, work with intention and love, and meet Him in every thing and everyone. Even though we cannot spend our whole days resting in Christ’s presence at His feet as Mary was called to do, we can choose to not complain and be with Him while we work. In our busy and burdened lives, we can meet Christ. The great thing is, is that Saint Martha eventually did, and went on to become a saint despite her anxiety and need to bustle. Surrender it all to Him, and He will be pleased to meet you there. He will sanctify every task and every breath. Simply invite Him there, into your busy world and your troubled heart. 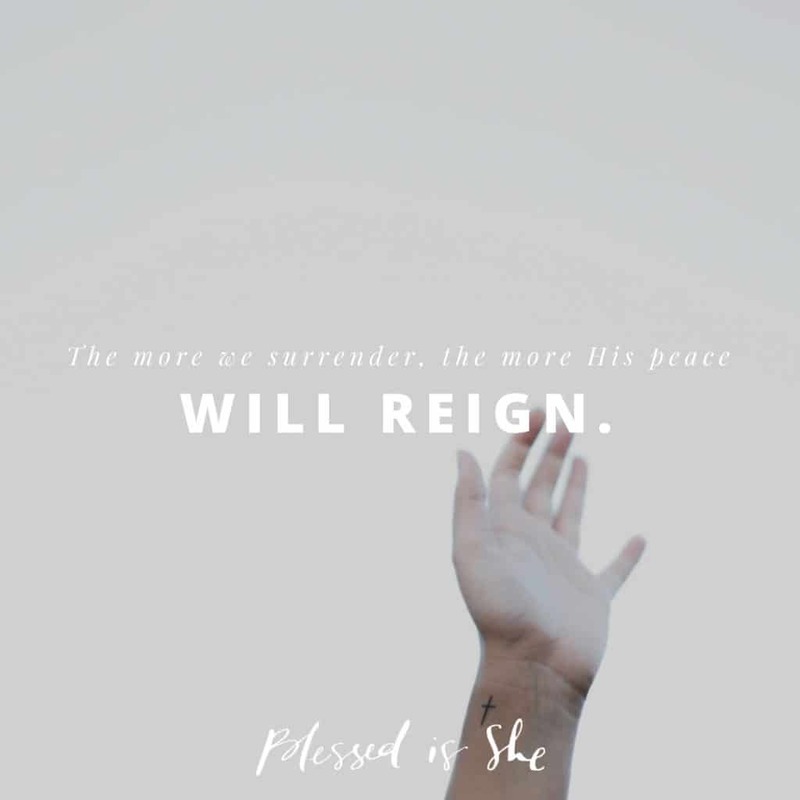 The more we surrender, the more His peace will reign. What troubles can you surrender to God today? Choose the better part, and meet Christ in every task.